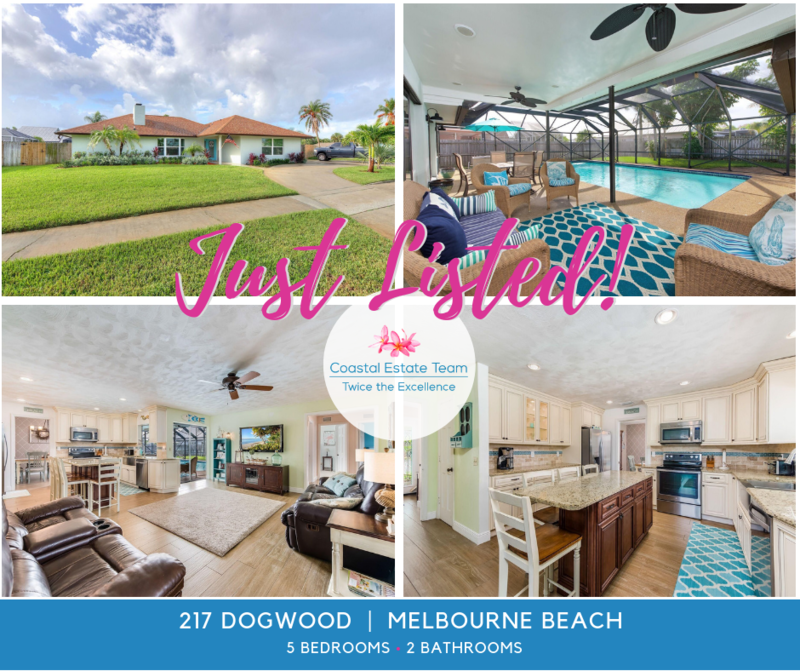 This stunning renovated CBS pool home located in the heart of Melbourne Beach features 5BD & 2BA. Upon entering the home you are greeted with the tongue and groove wood ceiling, inside there is the wood burning fireplace flanked with custom built-ins on both sides and a cozy window seat to settle in. The kitchen is the heart of the home open to family and dining room, as well as the pool area. Split floor plan with master having dual closets and renovated bath. Shiplap on both the master bedroom and bath walls. Interior Laundry with built in office space. All new hurricane impact windows and doors, with hurricane screening for the rear lanai. Oversized lot .37 with boat storage on the side yard. Yard completely fenced in. Short walk to beach, sports complex and schools. If you are considering Selling your Brevard County home, Find Out What Your Home is Worth. Whether you are buying or selling, it would be our pleasure to represent you! Please call or email the Coastal Estate Team to review your real estate needs. Easter Events along the Space Coast! Brevard Zoo Ranks Top 30 in US! The Best Places to Live Near the Beach in the U.S.
WELLNESS IN ONE - Dirty Dozen and Clean 15! St. Patrick's Day Events around Brevard!